Sunday 8th March was International Women’s Day. ‘Make it Happen’ is the theme and I wanted to share what that means to me. I’ve also created a check list to help bridge that gap between where we are today and where we want to be. Three simple words. Make.It.Happen. Although simple enough to say, not so easy to put into practise. It rarely is easy to do what we say we’re going to do, to change things we complain about or make things happen that we dream about. Yet it is possible. We know this because people the world over prove that the impossible can happen. The Alpine Coast to Coast was a dream I had in my mind and locked away in a Google spreadsheet for a year before I committed to making it happen. For years before Charley and I came up with the concept, I always dreamed about going on a big adventure. It was a far away idea, that one day I’d love to do that. One day, I’ll make it happen. On several occassions during the Alpine Coast to Coast I would think back to that Google spreadsheet. 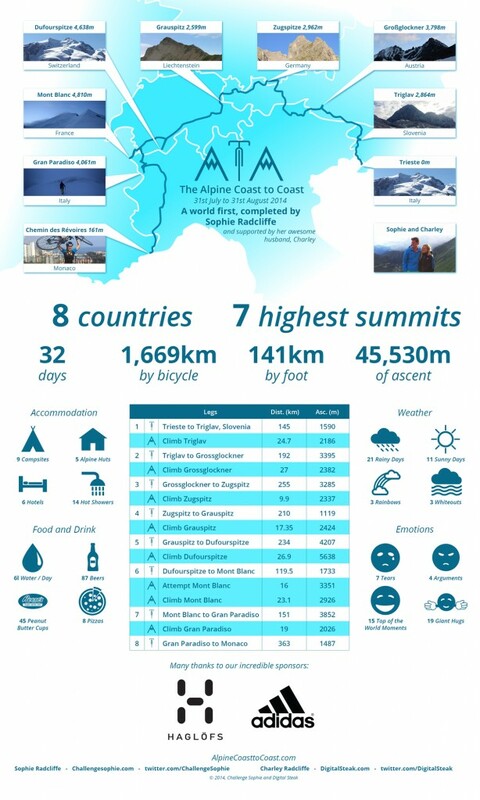 I thought about the countries I listed that I planned to cycle through, the names of the mountains we planned to climb and how high they were. I had calculated the distance between each mountain and the overall mileage I’d be cycling. It seemed like a monumental challenge, it was the biggest dream I could dream. During these moments when my mind would flick back to the spreadsheet, I would smile and marvel at the fact that this project had come to life. I was cycling through the towns and countries I’d first written down when I laid out my plan. The stage between me writing down the biggest dream I could imagine and bringing it to life, required me to take a leap of faith and put a plan into action. I know we all have dreams and goals, things we want to do, one day. I could have waited until I felt more ready, trained more, had more money etc… but I realised if I waited until I felt ready that moment may never come. There’s always something more important holding us back. We can achieve extraordinary things. No-one says it’s going to be easy, but we’ll never know what we can do if we don’t try. The failure is in not trying. I’ve put together a list of what I’ve found useful when making bold plans and putting a plan into place to achieve them. Whatever your dream is, it can happen. 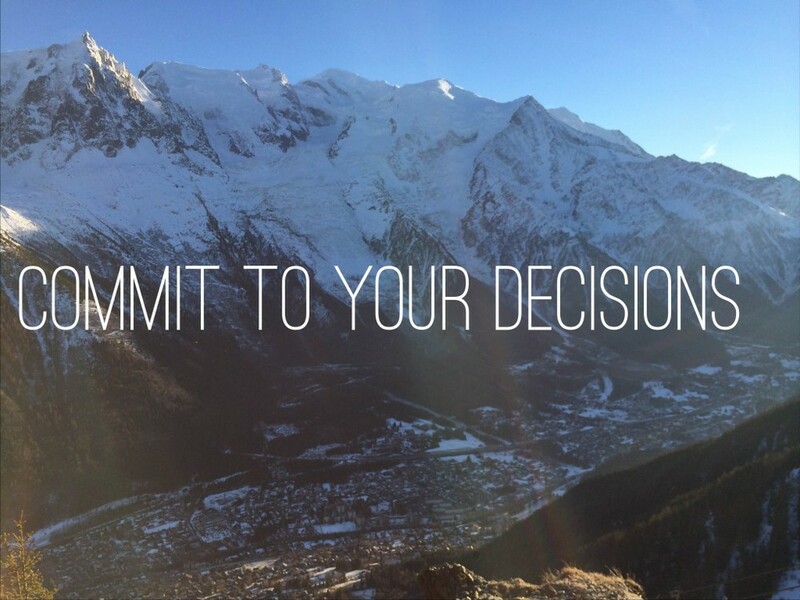 Decide on what you are going to do, make a plan and start working on putting it into action. Don’t use time and energy worrying about whether it’s the right decision, put all your effort into making it so. Know that feeling scared is a good thing. There’s always a huge, gaping unknown between where we are today and where we want to be. This is where our fears, doubts and anxieties lie. Recognise these, but don’t let them rule you. Plunge yourself into this gap, as this is where the magic happens! Definitely where I’ve progressed and learned the most is in the unknown. Watch my video with K2 on ‘Embracing Change’ and talking about ‘scared is a good thing’. If some people don’t support your aims to achieve something amazing, they are not the people you need in your support network. You need people who believe in you and your dreams. People who will be there to support whether you are riding high or feel like you are going to crash and burn. When Charley and I were planning to move to Chamonix we didn’t know exactly how we were going to make it work. We were nervous and worried, but we talked a lot about ‘What’s the worst that can happen?” This made us look at what we had to help us make this move a success. We had a small amount of savings, our skills and experience, a huge amount of passion and each other. The worst that could happen is that we couldn’t make it work how we wanted to, and had to return to London and get another job. In the meantime we would have had an amazing adventure and at least we would have tried. Nine months later our empire is building little by little everyday, we are having the adventure of a lifetime and we are happy. I’m a big believer in smiling. The journey is filled with ups and downs, ditches and walls, locked doors and secret passages leading to magic gardens. The challenge for us is to find our way through all of this and come out on top in our quest to achieve our goals. I think smiling can be powerful as it helps people want to help you if you are kind and happy around them. It also makes us feel more positive and relaxed. Let me know what goals you are working on and if you need any help with any of these stages! Happy International Women’s Day 2015.